The Star View Room at the Sheraton Universal has a 360* view of the Valley and Hollywood Hills! 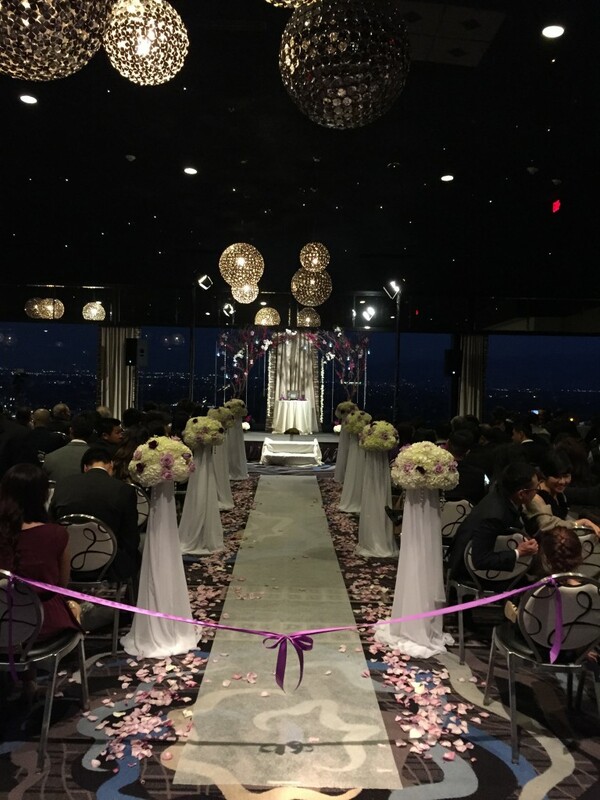 Benny & Emmy's ceremony took place at the Star View Room at Sheraton Universal. This venue has 360* views of the Valley and Hollywood Hills. It is absolutely stunishing! Their ceremony was great and the happy couple added a few twists to ring exchange and other portions of the ceremony making everyone laugh and really enjoy the ceremony. 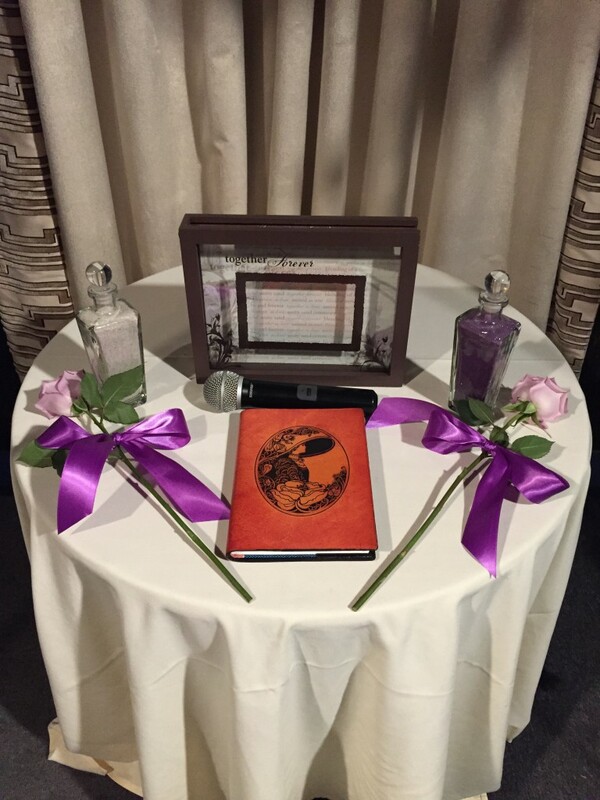 We incorporated the Mothers Rose Presentation and Sand Ceremony. There were about 400 guests and everyone looked like Hollywood Royalty! 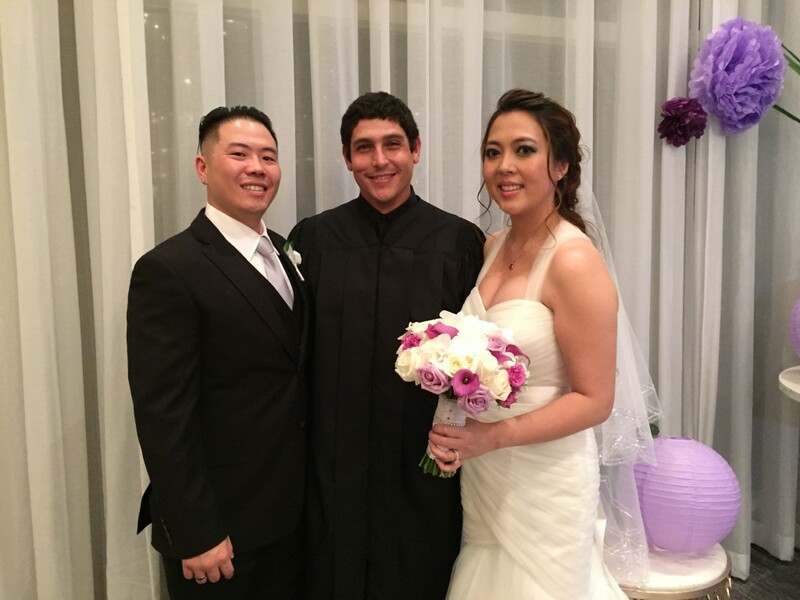 Benny & Emmy, thank you for giving me the honor of officiating your wedding! You guys ROCK!!!! Many blessings to you in this fascinating journey you have embarked on!